ADD fresh huai shan, also known as shao yao and wild Chinese yam, to your diet to tap into its nourishing and immune system-strengthening properties. 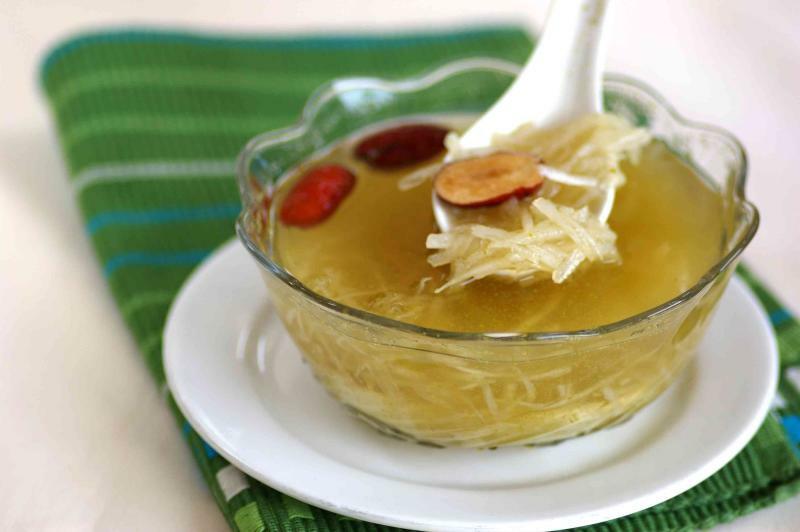 Place huai shan, sugarcane juice and rock sugar in a medium saucepan or pot. Bring to a simmer over medium to low heat for 8-10 minutes. Do not allow to boil over. Remove and pour into individual serving bowls and enjoy it warm as a refreshing thirst quencher.